In addition, your 2019 Canada One-Ounce Silver Incuse Maple Leaf has been graded by the Numismatic Guaranty Corporation (NGC) as being in flawless Mint State-70 (MS70) condition, a distinction that means your perfectly-graded coin will have ZERO imperfections – showing all features and fields exactly as the engraver and mint intended. 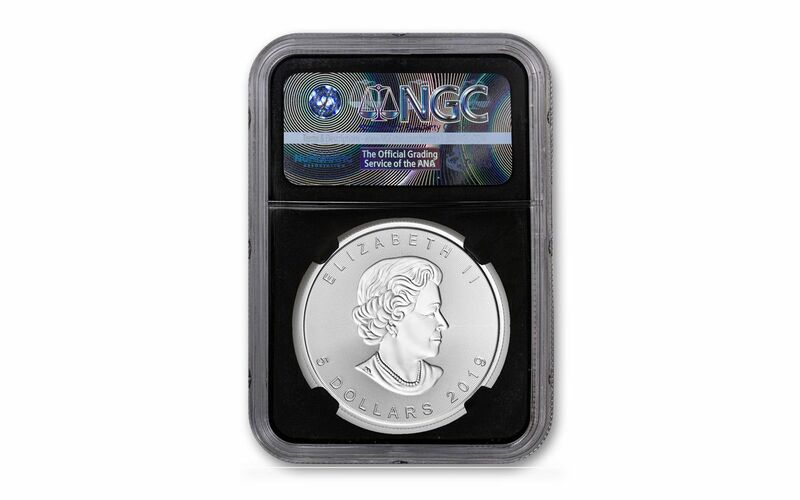 Plus, NGC has certified your Silver Incuse Maple Leaf to be a First Day of Production (FDP) coin, meaning that it was struck on the first day that the mint began striking the series. To qualify for First Day of Production, coins must be received by NGC or an NGC-approved depository accompanied by documentation from the mint that confirms that the coins were struck on the first day of that coin’s production. It will come sonically sealed in an acrylic coin holder with a black display core and exclusive Maple Leaf label. 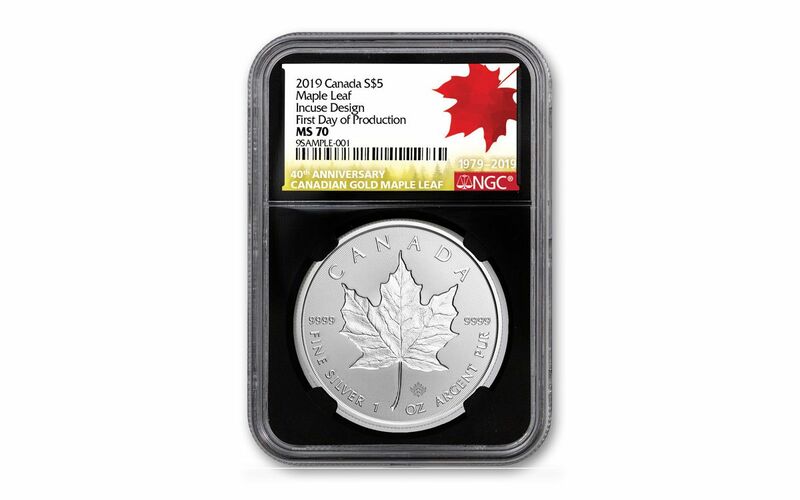 GRADED IN IN PERFECT UNCIRCULATED CONDITION – Your 2019 Canada One-Ounce Silver Incuse Maple Leaf has been graded by the Numismatic Guaranty Corporation (NGC) as being in flawless Mint State-70 (MS70) condition, a distinction that means your perfectly-graded coin will have ZERO imperfections – showing all features and fields exactly as the engraver and mint intended. KEY FIRST DAY OF PRODUCTION CERTIFICATION – NGC has certified your Silver Incuse Maple Leaf to be a First Day of Production (FDP) coin, meaning that it was struck on the first day that the mint began striking the series. It will come sonically sealed in an acrylic coin holder with a black display core and exclusive Maple Leaf label.